The first China (Xingcheng, Huludao) International Swimsuit Festival came to a close Wednesday evening after a swimsuit design contest in Huludao, Liaoning Province. 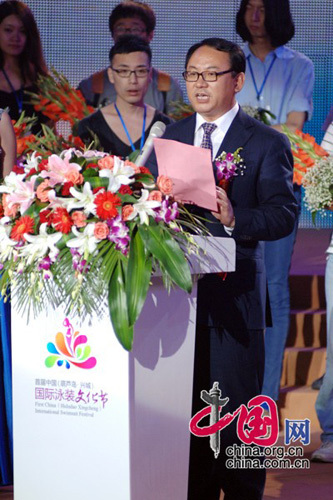 At the closing ceremony, Du Benwei, deputy CPC secretary of Huludao and acting mayor, said that the festival had attracted enormous attentions from both home and aboard. 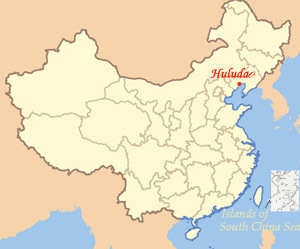 More than 700 guests attended this event, which has increased the popularity of Huludao and promoted its swimwear industry. Aside from showcasing the region's culture and tourism attractions, the festival has also established a platform for local and outside industries to trade and communicate. Altogether 24 supply and sales agreements which valued US$170 million and 23 investment agreements which valued US$3.18 billion were signed at the industrial investment and trade conference held Wednesday, Du added. A swimsuit design contest was held before the closing ceremony. After two-month competition, 54 designs among 354 pieces from 18 provinces and municipalities around the country entered the final contest. Wang Lin won the golden award of the swimsuit cloth/patterns design contest, followed by Zhou Hongwei as the runner-up. The bronze award went to Wang Juhong and Wang Shubin. Sun Mohan won the Most Popular Award. Qiu Yihang was the winner of the swimsuit style design contest. Wang Lin won the silver, his second award in the event. Jiang Chao and Wang Jianqiu received the bronze award. The Most Popular Award of this contest went to Zhu He. The design contest was part of six main events that highlighted the festival. The others included a beach volleyball game, a Taiji performance accompanied by the music of Chinese zithers, a swimsuit model contest and the trade conference. The "I love bikini" swimsuit presentation entered the Guinness books by setting the record of 3,090 bikini-wearers participating in a single event.